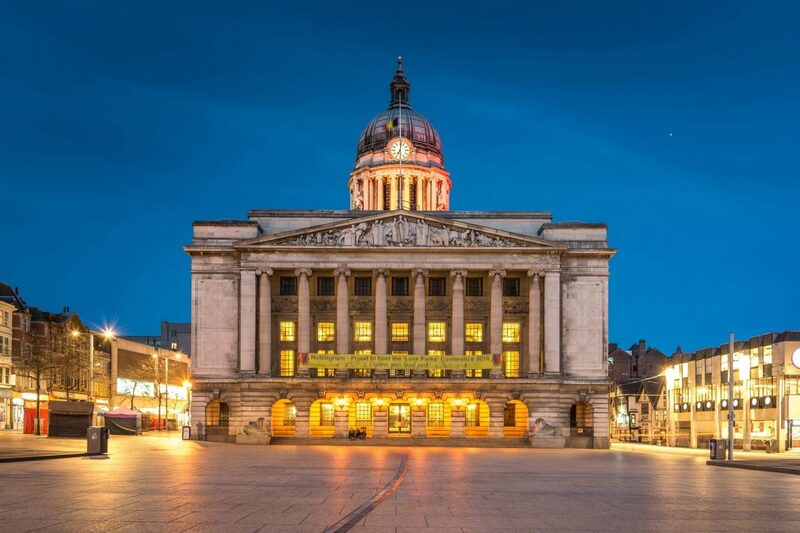 Whether it’s sport, shopping or a legendary night-life you are looking for, Nottingham has them all – and of course Robin Hood. But the City also has a fantastic history and plenty of evidence of that remains. Add to that a rich cultural and heritage offering, then there are few better places for a couple of days away. Its Lace Market area of early Victorian warehouses and cobbled streets (many of which are now home to young companies in the creative sector) also houses a grand medieval church as well as the Galleries of Justice whose cells held captives from medieval times to the 1980s. Half a mile to the west, Nottingham’s Castle stands on a fantastic site commanding the Trent Valley. Although currently closed undergoing a major transformation, standing under its walls is still a great place to hear the major role Nottingham has played in the history of England. From the coming of the Saxons, to the present day, Nottingham has always been in the forefront of events. Nestling under its rock is the “Old Trip to Jerusalem,” England’s oldest pub and of course the statue of Robin, Nottingham’s most famous son. Linking the two is the Old Market Square, still the focal point of the City, around which is the main city core with the shops, pubs clubs and restaurants for which the city is renowned. If all of this sounds tiring, then the City has a cultural life which belies its size. From a concert hall promoting top-drawer international classics orchestras through to a packed schedule of cutting edge comedy; from two theatres hosting national quality productions through to the smaller intimate venues, Nottingham has it all. Oh, and if reading is your thing, don’t forget that Nottingham is currently a Unesco city of literature. So, you can see, with Nottingham, the problem is deciding not what to do but what to leave out. If you are interested in exploring the rich heritage Nottingham has to offer our friends at Brackenbury’s Britain can help organise a guided tour in Nottingham and further a field. For an overnight stay visit here for the best guaranteed rates in our award-winning hotel located on the old ramparts of Nottingham Castle or call us directly on 0115 988 1900.